SIS Pitches manufacture and install world-leading playing surfaces for the sports and leisure industry. We work with the biggest names in sport, including many leading sports clubs and institutions. Based in the UK, SIS Pitches is a fully international business with offices around the world, including Ireland, the Netherlands, Russia, Turkey, the Middle East and Angola. Find out more about our company structure. Our years of experience mean that we can supply the right pitch for the right budget, whether that’s for a leading international football club, sports club, school or university. We design and construct the best hybrid, synthetic and natural sports pitches. 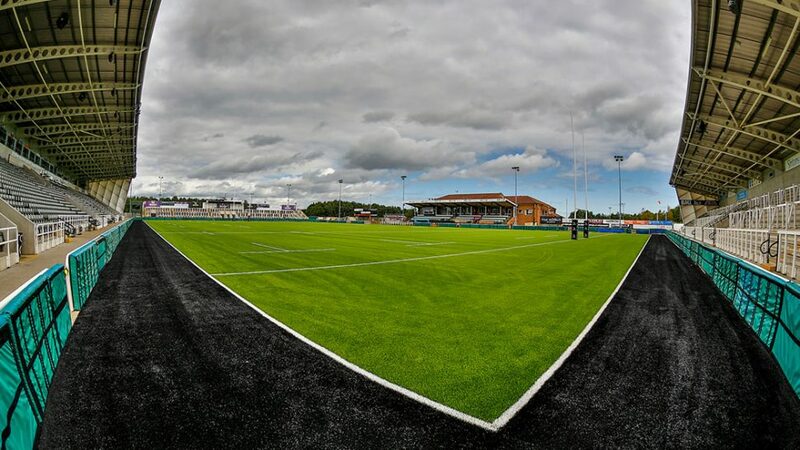 We offer an end-to-end solution that means we control the whole process for you, from the manufacture of synthetic turf in our own facilities, right through to planning, design, construction and installation. We provide the perfect pitch to fit your needs. Our experienced, expert team not only construct world-leading pitches but also offer comprehensive aftercare and maintenance services. We help our customers maintain the best quality pitches that last longer and play better. SIS Pitches is a FIFA Licensee, a World Rugby Preferred Turf Producer and a certified FIH manufacturer. If you’re looking for a new football pitch, rugby pitch, hockey pitch, cricket pitch or a new pitch for a sports club, we can provide the best playing surface for your needs. SIS Pitches are part of a framework agreement to provide the design, manufacture, installation and maintenance of artificial grass pitches. The agreement is in support of the Rugby Football Union (RFU), Football Association (FA), Sport England, England Hockey and Football Foundation (FF) capital investment programmes. National soccer teams from Spain,Portugal, Germany, England, Scotland, France, Ireland, Netherlands, Belgium, Turkey and Denmark. National rugby teams from England, New Zealand, Australia, Ireland, Argentina, Wales, Scotland, Italy and France. Football: World Tournament finals, European Champions League finals, European Championship matches, CAN 2010. Rugby: European Rugby Heineken Cup finals, European Parker Pen Challenge Cup finals, Six National Rugby tournament.